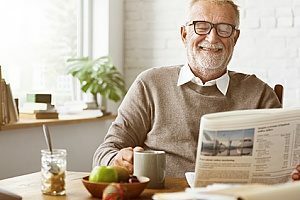 Retirement plans are an attractive incentive for job candidates and employees. However, not all retirement plans are the same. While many people are familiar with traditional 401(k) plans, safe harbor plans are not as widespread. Safe harbor plans are similar to 401(k) plans but have some distinct differences. Learn more about safe harbor plans, how they compare to traditional 401(k) retirement plans, and why business owners should consult with experienced financial consultants before acquiring any type of retirement plan for their employees. A safe harbor plan is a type of 401(k) retirement plan that is exempt from non-discrimination testing. This plan has certain features that help employees save money by requiring companies to contribute to their workers’ 401(k) plans. When business owners choose to participate, the Internal Revenue Service (IRS) provides business owners “safe harbor” from the non-discrimination testing process and the consequences of 401(k) testing fails. 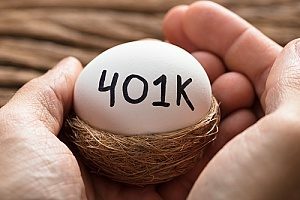 Safe harbor 401(k) plans are one of the most popular types of 401(k) plans used by small businesses today. Safe harbor plans can be highly attractive to businesses as they come without the risk of refunds. Safe harbor plans allow business owners to maximize their contributions to their own accounts while also reducing many of the limitations that go hand-in-hand with IRS non-discrimination testing. With a safe harbor plan, you have the opportunity to contribute the annual maximum deferral amount to your own 401(k) plan while also receiving extra savings from your business’s matching contributions. At tax time, your company can also deduct matching contributions to employee accounts within the deductibility limits set by the IRS. It is important for business owners to also remember that matching contributions act as a great recruiting tool for prospective hires and can aid in retention of existing employees. Traditional 401(k)s place certain limits on business owners in terms of how much money they are able to contribute to the plan. These limits are typically based on ADP and ACP testing and top-heavy testing. In an attempt to hit the maximum amount allowed per year, many business owners surpass the contribution limit on their plan without realizing it. When this happens, business owners typically receive a refund for the excess contributions which reduces their ability to reach their 401(k) investment goals. This money is also taxed. Safe harbor plan requirements differ slightly from those of traditional 401(k) plans. With a safe harbor plan, any employer contribution is vested immediately at 100 percent. In addition, safe harbor plans require a January 1st election. This means that any business owner who currently has a traditional 401(k) and would like to amend it to a safe harbor plan may only make this change at the very start of the new calendar year. Complex 401(k) plans can put small business owners at a disadvantage. Safe harbor plans can be a smart way to go if you can afford to contribute to your employees 401(k) accounts. Safe harbor plans are well suited for businesses that may experience compliance issues if they choose to go with a traditional 401(k) plan. With a standard 401(k), any plan assets must stay balanced between higher earning and lower earning employees and undergo regular testing to make sure that the ratio is met. Safe harbor plans are not subject to these ratio tests which allow higher-earning employees and business owners to defer large amounts of income without fear that any additional income that throws the ratio out of balance will later be returned. Who is a Safe Harbor Plan Right for? A safe harbor plan may be an optimal choice for your business if you are a small- to medium-sized company with at least eight to 12 employees and have little need to reinvest your profits. A safe harbor plan may also be right for you if you are a business owner who has previously failed the IRS’s non-discrimination testing or believe that you could possibly fail in the future. Know that if you have an existing 401(k) plan, you have the option to convert it to meet the requirements for a safe harbor plan. Setting up a safe harbor plan is similar to setting up any other type of 401(k) plan. The main differences lie in the disclosures and matching requirements that are generally outlined in the plan documents. It is important to be familiar with the current employee deferrals and matching limitations as they can change on a year to year basis. Having a professional walk you through the process can be invaluable for your business. Learn more about safe harbor plans, how they compare to traditional 401(k) plans, and how you can acquire a plan for your employees by contacting the financial consultants at Incisive Financial Group.